After nearly a decade of advocacy and planning, the I-71 Interchange opened in August 2017, creating a world of possibilities for catalytic development and project investments in Uptown and Walnut Hills. With the completion of the interchange, Uptown Consortium (UCI) began executing plans for a world-class innovation corridor. 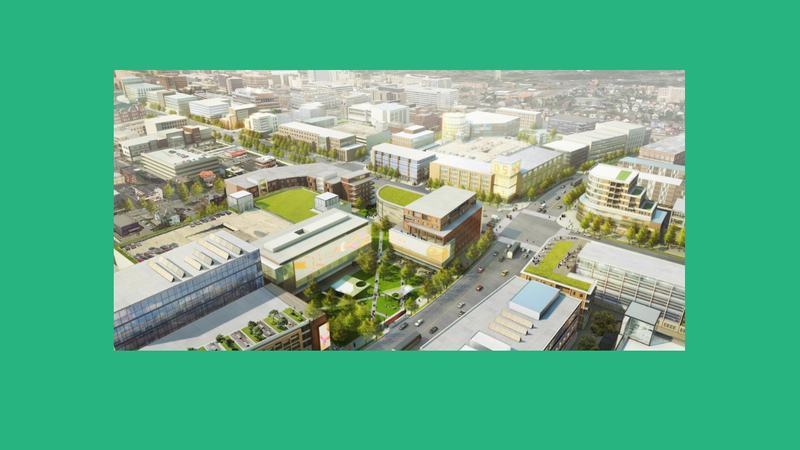 The Uptown Innovation Corridor will be filled with pedestrian-friendly, mixed-use developments and will leverage the core strengths of Uptown anchor institutions—medicine, research and innovative advancements—to attract high-growth, tech and creative companies and the people they employ. UCI has seen significant progress on the Uptown Innovation Corridor in the last year. Terrex Development, and Messer Construction, intend to build a $200 million mixed-use development called Uptown Gateway, located in the corridor’s southeast corner. In August, the developers announced the University of Cincinnati will be the project’s first tenants, having signed a long-term, build-to-suit lease for a 180,000 square foot building that will serve UC’s “digital futures.” In addition to the building in the Uptown Gateway, UC completed construction on 1819 Innovation Hub, a $38 million renovation of the former Sears department store into a research accelerator. The building has secured several tenants including Kroger, CincyTech, P&amp;G and Cincinnati Bell. UC is also completing construction on the UC Gardner Neuroscience Institute, which will be the leading regional treatment center for complex neurological conditions. The building is expected to open in 2019. On the northwest corner of MLK and Reading Road, the U.S. Senate passed a spending package that ensures the site acquisition and construction of a new National Institute for Occupational Safety and Health (NIOSH) facility that would consolidate its three Cincinnati sites into one $110 million building in the Uptown Innovation Corridor. Across Reading Road, MLK Investor I, LLC, a partnership between Neyer Properties and Kulkarni Properties, plan to develop a $250 million mixed-use development with office, residential and hotel space. 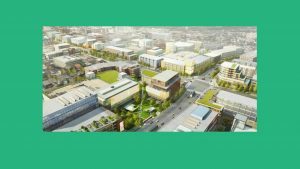 In October, UCI announced its letter of intent with Queen City Hills, LLC to develop the southwest corner of the Uptown Innovation Corridor. Queen City Hills, LLC is an ownership group comprised of prominent local executives with extensive business and real estate investment experience. The team is led by Ed Rigaud, David Foxx and Albert Smitherman. The group will have nine months to submit a development plan and enter into a purchase agreement for the UCI-owned property. Throughout the project, UCI has been dedicated to community engagement, so that decisions around the Corridor are in the best interest of the neighborhood stakeholders. Community leaders are actively involved in the planning of the developments on its Steering Committee. UCI and its partners also regularly attend council meetings and host open houses to discuss the project with neighborhood residents. Finally, UCI engaged an economic inclusion consultant, WEB Ventures, to develop and execute a plan to create opportunities for minority and women-owned businesses as well as jobs for Uptown and Walnut Hills residents. To learn more about UCI’s efforts in Uptown and the Corridor, contact UCI’s Community Development Manager, Brooke Duncan, at bduncan@uptownconsortium.org.